Jeff has been a staunch advocate of sustainability for his entire professional career, which he launched in 1993 after graduating from UCLA with a B.A. in Environmental Studies. Ever since, Jeff has applied his love of filmmaking towards the cause of environmental solutions and derives great pleasure in making a difference in this field. Jeff has produced award-winning feature documentaries on the value of Environmental Education (Generation Earth — 1995), the importance of preserving the Arctic National Wildlife Refuge (Arctic Quest — 1999), and the benefits of energy efficiency, conservation and renewable power (Kilowatt Ours — 2008), in addition to producing 10 short documentaries on various topics of related to sustainability. He has leveraged the power of effective documentary storytelling combined with grassroots organizing and public strategies to lead to positive changes in the world. Shelby is dedicated to serving communities in Tennessee through environmental education and advocacy. She collaborates with stakeholders who share a vision for a sustainable Tennessee and directs the Council’s law and policy program. Prior to joining the Council, Shelby practiced at the Tennessee Clean Water Network and as a sole practitioner. She also worked as an aquatic ecologist identifying macroinvertebrate from East Tennessee sites subject to biomonitoring. ​Shelby graduated from the University of Tennessee College of Law in 2011 and earned a Master of Science in Ecology from the University of Tennessee in 2015. She additionally holds a Bachelor of Science in Biology and a Bachelor of Arts in History from Howard University. ​She enjoys modern quilting and genealogy. Cynthia has a passion for sustainability and is dedicated to improving Tennessee’s environment. She recently graduated from Vol State Community College with a degree in Environmental Science. Cynthia began as an intern with TEC and worked her way into the Program and Field Specialist position. She works closely with the team to organize programs involving the Tennessee Tree Project, Watershed Support, and Sustainable Tennessee. She enjoys educating the youth on sustainable solutions and engaging partners to improve communities and quality of life in Tennessee. Brandi has always been passionate about nature and helping the environment. She credits learning about the benefits of recycling in elementary school as her first introduction to understanding how human behavior affects our environment. She has a Bachelor of Arts in Cultural Anthropology from Hunter College in NYC and interned in a small business sustainability consulting program while living there. She also worked for Green Mountain Energy helping small businesses in NYC support clean energy through their electricity bills. 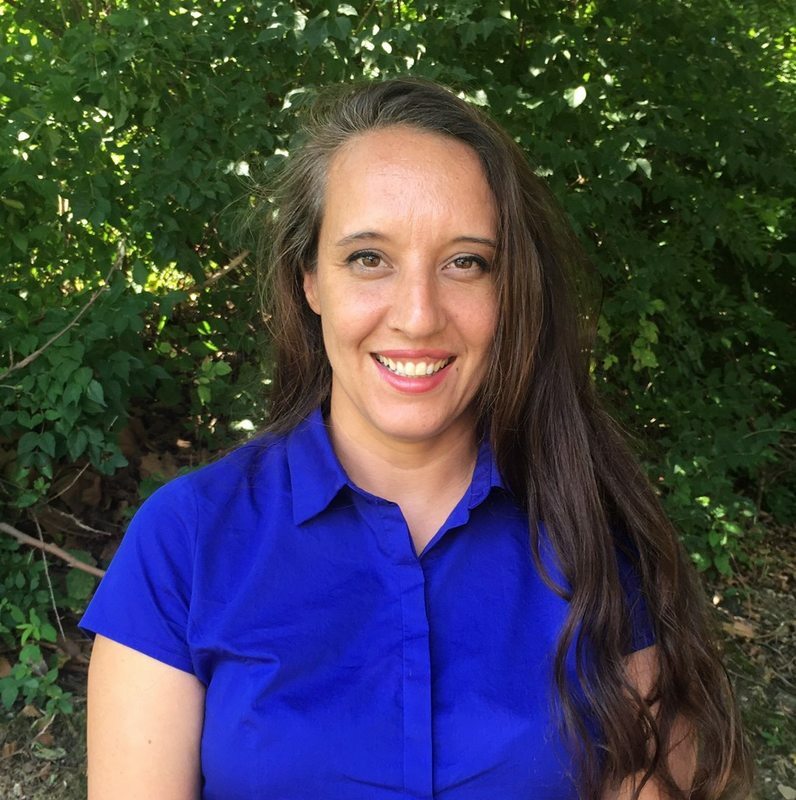 Upon arriving in TN she began working at LightWave Solar based in Nashville as a Marketing Assistant and Grant Writer helping farmers and small businesses receive grants for solar systems. In her role at the Council, she hopes to encourage small businesses in TN to become more sustainable through improving business practices. As a Nashville native, Julia has always admired and respected Tennessee’s natural beauty. This connection led her to pursue a degree from the University of Tennessee at Chattanooga in Communications and Environmental Science. During her college career, she edited a scholarly online journal, Applied Environmental Education & Communication Journal, helping develop her love for environmental research and writing. She also interned at the Tennessee Valley Public Power Association in the Communications Dept. where she learned the intricacies of the power industry and the need for more renewable energy use. Julia hopes to one day use her background in photojournalism to produce effective visual storytelling in the fight for the health of Tennessee’s environment and beyond. She looks forward to what she can achieve in her role at the Council. Anna graduated from Carson Newman University in 2018 with a degree in Biology with an Environmental Science emphasis. She represented the indoor and sand volleyball teams for her university throughout college. Anna also started the Students for Environmental Action at her school in efforts to increase recycling efficiency and raise awareness about environmental issues. Anna has a passion for addressing vulnerable communities and advocating for environmental justice. Valentin earned a BS in Environmental Studies from the University of Tennessee in Knoxville in 2016. His passion for the environment stems from his upbringing in Nashville and experiences in Middle Tennessee’s natural parks and recreational areas. Valentin enjoys activities such as camping, hiking, riding his bike and playing soccer. Due to his experience in recycling and composting with UT Recycling, he is looking forward to his new role within the Council's Organics Management and Recycling Education & Outreach programs. John F. McFadden (PhD) is the former CEO of the Tennessee Environmental Council with over 25 years’ experience in environmental and nonprofit management. Under his leadership, the Tennessee Tree Project planted over 500,000 trees and the Council received four "Governors' Environmental Stewardship Awards" and the TN Division of Forestry’s “Friend of Forestry Award" in 2014. John has been recognized by the federal and state court systems as an expert on water quality and has worked up and down the Mississippi River as a technical advisor to the Mississippi River Collaborative. He currently serves as steering committee co-chair for the Mississippi River Network. John received his B.S. in Education (1985) and his M.S. in Biology (1988) from Tennessee Technological University. He completed his PhD in Health and Human Performance (2009) from Middle Tennessee State University while researching recreational riparian greenway ecology. McFadden has taught collegiate biology, environmental science, natural resource management, earth sciences and currently teaches strategic sustainability in the University of Fredericton’s MBA program. McFadden has spoken to literally 100s of groups from first graders to garden clubs to Tennessee’s Senate Natural Resources Committee. Caleb is currently a sophomore studying at Lipscomb University in Nashville, double majoring in Mathematics and Philosophy. He became passionate about the environment in high school, where he became involved in an outdoor adventure program. His interests include sustainable energy, responsible agriculture, and environmental law/policy. After graduation, he plans to pursue a law degree in the realm of environmental law and policy. He chose to intern with the Council because of their reputation and pedigree when it comes to protecting the environment and educating people on environmental issues in Tennessee.